If you choose to take part in Dirty Weekend and support Children with Cancer UK there are two targets that will earn you rewards. Raise £500 through Virgin Money Giving and Rat Race will return your entry fee (excluding your donation and processing fee) after the event. 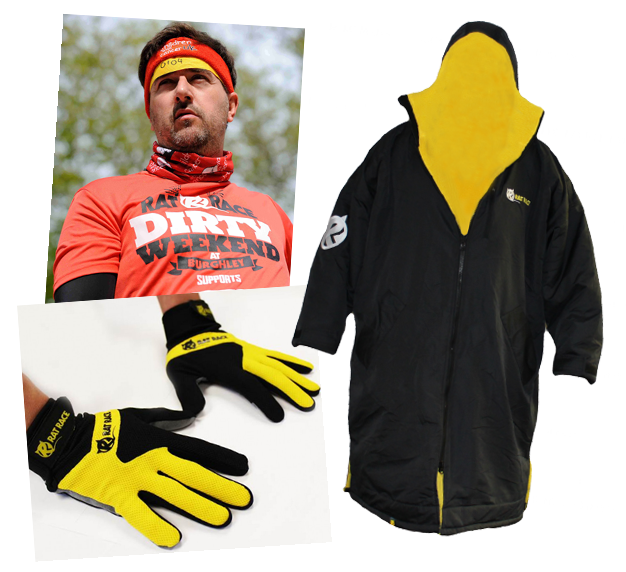 Raise £250 through Virgin Money Giving and Rat Race will reward you with a pair of Tough Gloves, perfect for using on the Dirty Weekend course. If you fundraise you will also receive the following from the charity; Fundraising pack, Training advice, Regular emails and Specially designed Children with Cancer UK rag. PLUS Donate £100 when you enter and Rat Race will reward you with a Dirty Weekend Rat Robe worth £120!